In Hampton Bays Schools, our children have a smart board in every classroom they are in…from pre-kindergarten to 12th grade! 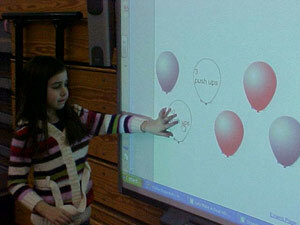 SMART Board is an interactive whiteboard. A computer image is projected onto the whiteboard and teachers simply press on the large, touch-sensitive surface to access and control any application. 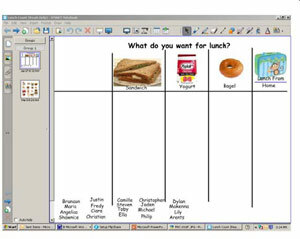 Teachers can write notes, draw diagrams, and illustrate ideas using a pen from the SMART Board pen tray. 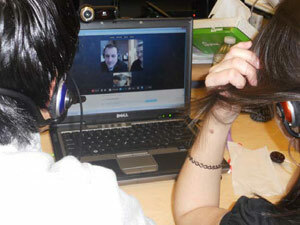 Another advantage is that information taught on the SMART Board can be saved and sent home to a student who may have been absent on that particular day. Studies show that when the Smart Board is used as a tool, combined with effective teaching strategies, there are dramatic results in the classroom.